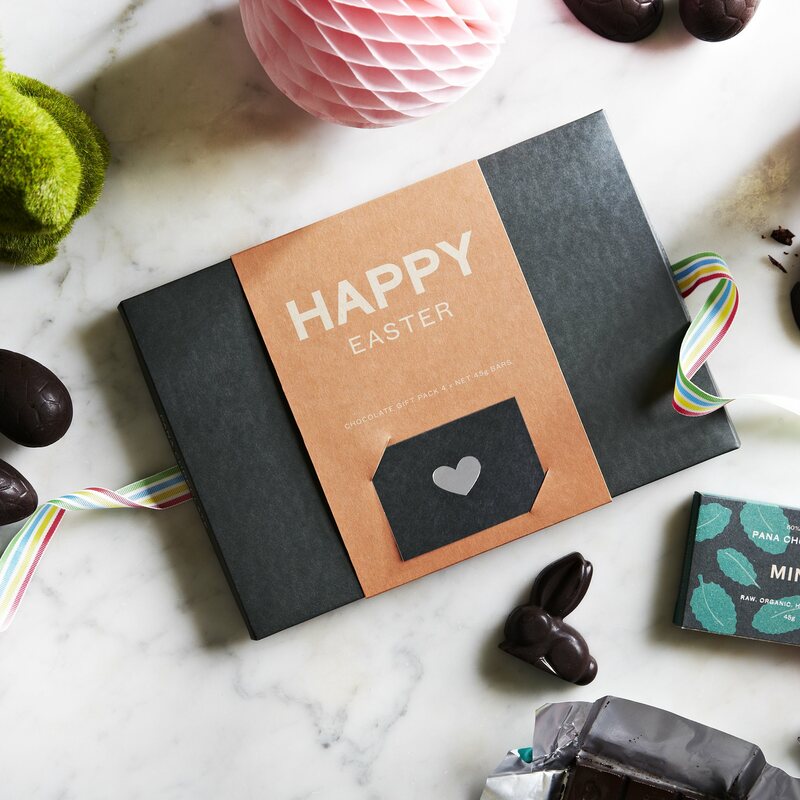 A Happy Easter gift box with four hand made raw chocolate bars. Fig & Wild Orange: Cacao* (min 55%; cacao butter, cacao powder), coconut nectar*, figs* (14%), coconut oil*, carob*, ceylon cinnamon*, wild orange essential oil (1%), himalayan crystal salt. *Raw ingredients certified organically grown. Allergy advice: may contain traces of nuts. Mint: Cacao* (min 60%; cacao butter, cacao powder), dark agave nectar*, coconut oil*, carob*, ceylon cinnamon*, peppermint essential oil (1%), Icelandic sea salt. *Raw ingredients certified organically grown. Allergy advice: may contain traces of nuts. Coconut & Goji: Cacao* (min 50%; cacao butter, cacao powder*), dark agave nectar*, coconut oil*, goji berries* (10%), coconut flakes* (7%), carob*, ceylon cinnamon*, Icelandic sea salt. *Raw ingredients certified organically grown. Allergy advice: may contain traces of nuts. Sour Cherry & Vanilla: Cacao* (min. 50%; cacao butter, cacao powder), coconut nectar*, coconut oil*, sour cherries* (14%), carob*, vanilla beans* (1%), ceylon cinnamon*, Icelandic sea salt*. *Raw ingredients certified organically grown. Allergy advice: may contain traces of nuts or the rare pip that may have escaped us. 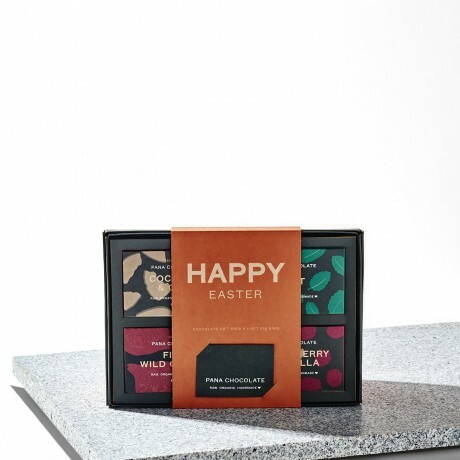 This product is dispatched by Pana Chocolate. Please note: this item has special delivery requirements so £3.50 is added to the delivery charges indicated below.